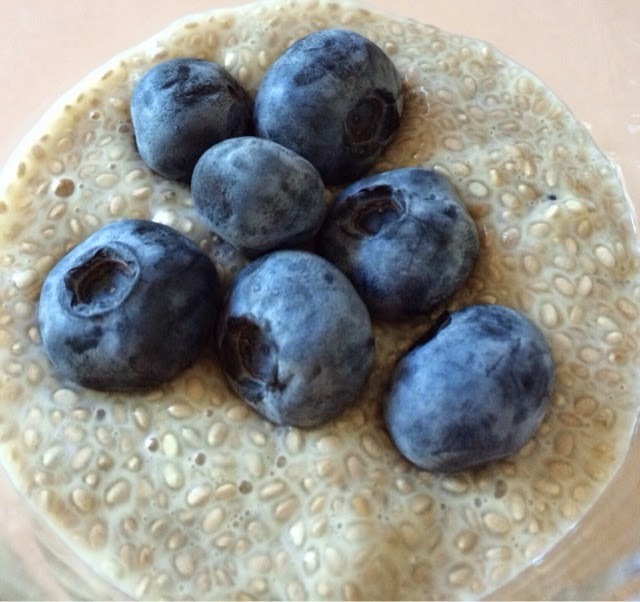 Chia, being one of the most amazing super foods is an inclusion that everyone should try to make in their diet. Flavourless, it is easy to put with any dish - from muffins and cakes to salads and stir-fries. It is full of dietary fibre, omega 3's and protein. I found this recipe on Pinterest and thought it looked like a great, quick breakfast. My issue with breakfast is that when I eat it, I'm always hungry only a couple of hours later. Chia, I am happy to say, actually fills me up quite well. You can make this the night before which is especially great for those who are time poor in the mornings. Mix up all the ingredients except blueberries in a container that you can seal. Put it in the fridge for at least 6 hours or overnight. When ready to eat, take it out, stir, and spoon into a bowl, ramekin or cup. Top with blueberries (and other desired toppings). You can add more milk if you want a more soupy consistency. You can also use more or less honey/maple syrup to sweeten it to your tastes. 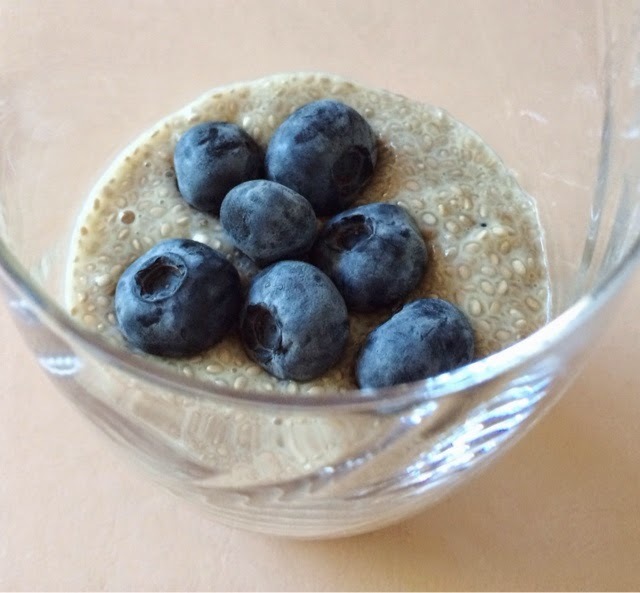 I used 4 tablespoons of chia and it was a thick consistency - almost pudding like. My 3 year old also tried some and liked it so if you have kids, it might be a great way to get some awesome nutrients into them!